Swiss folk-metal giants Eluveitie formed in Zurich in 2002. Lead vocalist and multi-instrumentalist Christian “Chrigel” Glanzmann put the group together as a studio project featuring different people on each track, but when this proved a success he decided to make it a full band. The name comes from ancient graffiti in the Italian city of Mantua, and is interpreted as meaning “the Helvetian” (the Helvetii were a Gaulish tribe). Much of their music is inspired by Gaulish history, and they often use the language in their lyrics. They have released six albums to date. The intro track Origins perfectly sets the tone for this album. Atmospheric sounds of wind and rain are joined by a spoken word introduction. Then the traditional instruments come in with an uplifting tune, and the song gradually transforms into pure folk metal before segueing into opener The Nameless. Chrigel’s harsh vocals are front and centre in this fast and heavy track, but the melodic elements are never lost. It showcases the band’s style well, and ends on a dramatic note. From Darkness continues in this vein, jaunty whistles meshing perfectly with guitars and drums. Everything has a truly ancient feel to it – no mean feat given that the Gauls lived a pretty long time before the invention of heavy metal. Celtos is next, sounding brilliantly like a traditional folk song that you could easily tap your feet and sing along to (possibly whilst quaffing some sort of historical alcoholic beverage). You’ll have the refrain “Auios auiettos, auios auiei” stuck in your head instantly even if (like me) you have no idea what it means. It’s great to see the band using both Chrigel and Anna’s vocals on this song. Virinus on the other hand is a more typical song for the genre – again making use of spoken word in an expert fashion. One of the album’s two “Intermezzos”, Nothing, is next, with an elderly lady giving a very poignant speech that harks back to the band’s previous album Everything Remains (As It Never Was). This segues into the second single, The Call Of The Mountains. Anna provides her strong and unique vocals for this contagiously happy ode to the band’s homeland. Although the key change at the end may throw some off a bit, this is such a moving and catchy song that it’s easy to forgive it. Sucellos then is rather like the antidote for those who are put off by the sweetness of the single. Chrigel roars over heavy riffs and fast melodies as only he can. The repeated whispered/chanted “sucellos” lines feel so very raw and primal, but they also provide a quiet moment before the song turns brutal again. This is a band that understands dynamics and makes use of them. The following track Inception shows that too – the spoken line “and then there was nothing…” opens the song right before the instruments crash in. The only odd choice in this song is the fade-out ending – something more usually reserved for very long tracks or album closers. By the time you get to The Silver Sister, the album is beginning to feel a little long. It’s quite the beast at 16 tracks. It’s nice to get your money’s worth, but people who aren’t big fans may feel that it’s dragging at this point, good as the song is. Luckily lead single King is just around the corner. Strings swell in the opening, reminding you just how well this band can blend their instruments. This song is a great example of what Eluveitie sound like, should you need to demonstrate to your friends. You can just imagine the crowd shouting along with the chorus line “Ambicatus is my name!” before descending into a lot of headbanging. 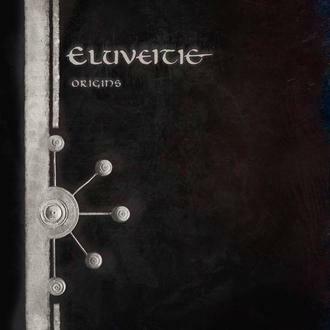 This is a stunning effort from Eluveitie. Although they could perhaps use a little more variation to prevent the album from feeling to lengthy, everything else is spot on. Folk metal fans will relish this and newcomers to the genre are sure to enjoy it as well.